We take part in Spoga exhibition in Cologne, Germany in September to display our products. 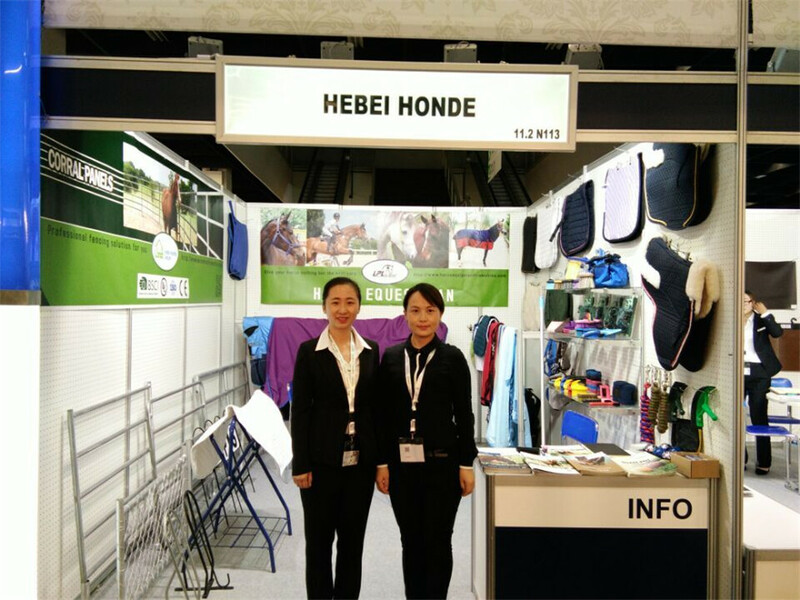 Our main products are Horse Rug, Horse Saddle Pad, Horse Bandage, Horse Halter, Horse Lead Rope, Horse Hoof Pick, Horse Grooming Kits etc. Before our exhibition, we will send invitation to our customers and let them know our booth number. So we can communicate with each other face to face for further negotiation. If we set up long term cooperation, we can prepare samples for you for your new idea or products. You can go to Cologne when you are free during Spoga exhibition.